Established in September 2017, Guy & Beard Limited is a multiple award winning Scottish based group of barber shops. We currently have 4 shops in high footfall locations in Glasgow and Edinburgh with ambitious growth plans. Each shop maintains its own personality and atmosphere but the ethos has remained the same; delivering high quality barbering services in a unique, comfortable and relaxed environment. 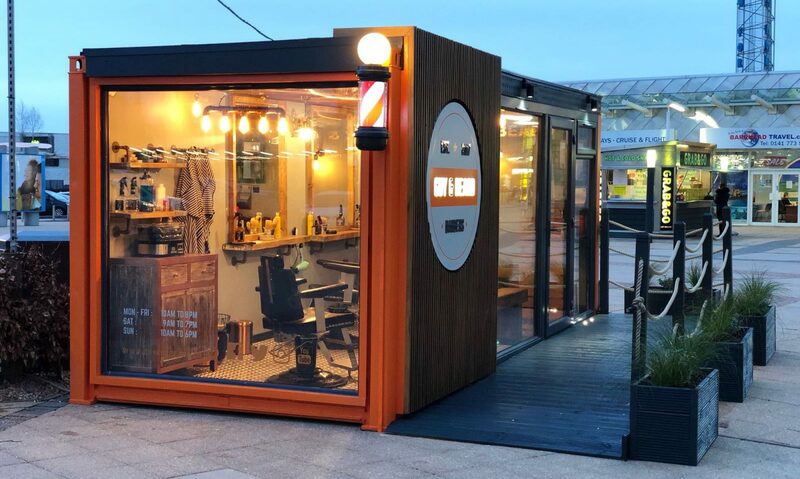 We are an exciting and unique concept, offering barbering services inside up-cycled shipping containers. We are looking for an energetic and passionate individual who will come in and continue to deliver the excellent client service we are renowned for. We are looking for an operations manager to join our team to act as a “middle buffer” between the day to day operations and the leaders of the business to allow them time to focus on company development and growth, to manage day to day operations of our stores and most importantly to deliver the vision and values of our company and to ensure that they are embed in our company culture and are communicated effectively to our target customers and landlords. Guy & Beard prides itself on providing a positive working environment, you will work closely with every member of your team including barbers to ensure the day to day running of the stores are professional, on brand and meet Guy & Beard standards. It will be the role of the Operations Manager to ensure each store offers a top service to all customers. We will encourage you to take full ownership of our store’s environment and grow and develop their teams. Guy & Beard believe in the importance of education and career development. As the Operations Manager you will be responsible for delivery of exceptional operational and commercial standards throughout the stores, developing all areas of operational activity and driving sales and profitability through the performance and development of your team. Your key role is to build infrastructure for the future. We currently have over 35 locations on our waiting list all over UK including major shopping destinations and public transport hubs. Previous PostPrevious Announcing £100 Prize Giveaway celebrating our new store opening at Edinburgh Fountain Park…Enter NOW!